Very rare 1 bed with a gulf-front bedroom at the Beach Club in Fort Morgan. This resort property was totally redone in 2013, new cabinets, dish washer, solid surface stove top, furniture and granite in kitchen and bath. H/C new in 2012. Pet friendly. This is a vacation rental by owner home that grossed over $40,000 in 2015. Buyer must agree to honor all rental reservations. Gulf Shores Alabama is a popular family beach vacation destination, offering a variety of dining options, dolphin cruises, championship golf courses, deep-sea fishing charters and nature hikes. Choose from national hotel and motel chains, camping or a variety of vacation rental homes for your stay. There are numerous venues for nightlife, from family entertainment to a legendary roadhouse, enjoy your pick of plays, free concerts, dancing or just listening to a variety of popular music styles. 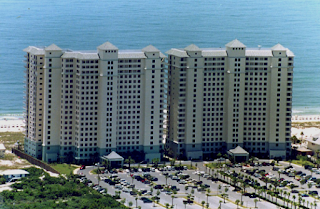 Gulf Shores is the southernmost settlement in the state of Alabama and has subtropical weather, Gulf State Park occupies a large eastern part of the city. This popular resort community is known for its bright white beaches and soothing warm water. Daytime activities include scenic cruises, dolphin-watching and hiking. A great place for families, Gulf Shores has The Track, a family recreation center with bumper boats, and also the Alabama Gulf Coast Zoo.